This German Silver Pooja Thali features intricate patterns on its metal body to make it quite an eyeful. 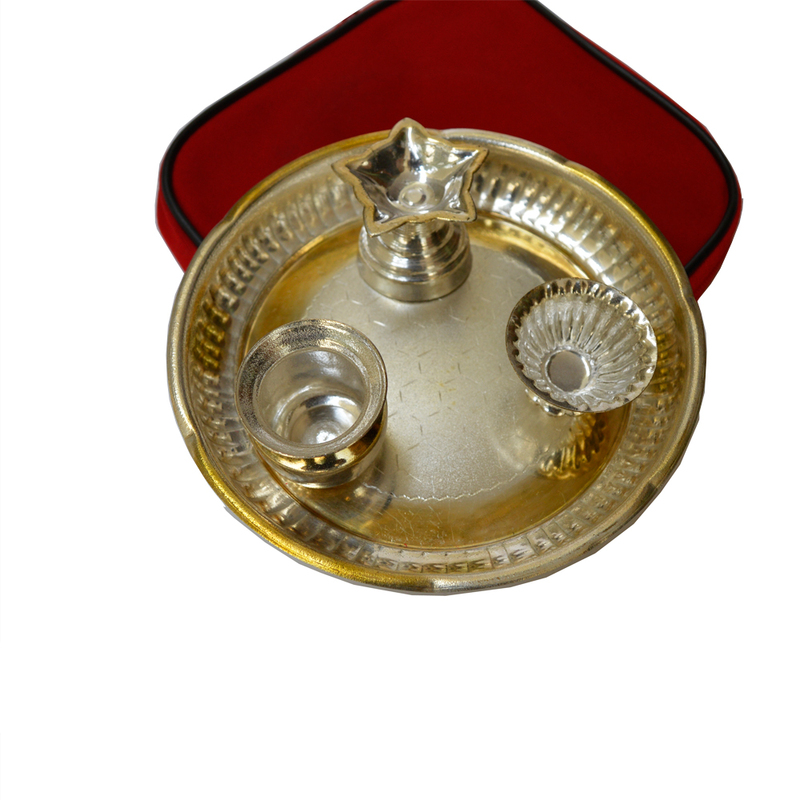 The tiny bowls or katori and diya Read More..that form part of this set are essential for performing various religious rites on auspicious occasions, this Pooja Thali set takes care of all that. This set can be the best choice for bringing in an aesthetically pleasing Pooja accessory to home. Show Less..